3 years on, what’s become of the EU-Turkey migration deal? ATHENS, Greece (AP) — In March 2016, European governments breathed a sigh of relief as the European Union reached a deal with Turkey designed to stop hundreds of thousands of refugees and migrants heading into the heart of Europe. For many of those who had fled war, hunger and poverty hoping for a bright future on the continent, the deal shattered their dreams. Three years on, here is a look back at the agreement and the effect it’s had on migration. WHAT DID THE EU-TURKEY DEAL SAY? One of the main provisions of the deal, which came into effect on March 20, 2016, was that all those arriving on Greek islands from the nearby Turkish coast — the preferred route at the time — would be detained and returned to Turkey unless they successfully applied for asylum in Greece. They wouldn’t be able to move on to the Greek mainland, from where hundreds of thousands before them had made their way through the Balkans and on to central and northern Europe. However, the deportations didn’t go as planned. Instead of waiting to apply for asylum in their preferred European country, new arrivals applied as soon as they arrived on the islands, which delayed deportations and created a massive backlog in Greece’s asylum system. In practice, actual deportations have been very few and far between. On a very basic level of reducing the number of asylum-seekers heading to other European countries, the deal was very effective. More than 1.2 million people registered for asylum in EU member states in 2015 and again in 2016, at the height of the crisis. That number fell by half the following year, with just over 654,000 new asylum applications in 2017 and even fewer — just over 580,000 — in 2018, according to the EU’s statistics office Eurostat. Germany continues to be the most popular country for those seeking refugee status, followed by France and Greece. The main countries of origin of the applicants are Syria, Afghanistan and Iraq. But the reduction in numbers has come at a cost. It has also not completely stopped arrivals on Greek islands, although the numbers are far lower than the thousands per day in 2015 and early 2016. WHAT IS THE SITUATION ON THE ISLANDS? The stipulation of new arrivals being held on the islands has left thousands languishing in crammed camps. 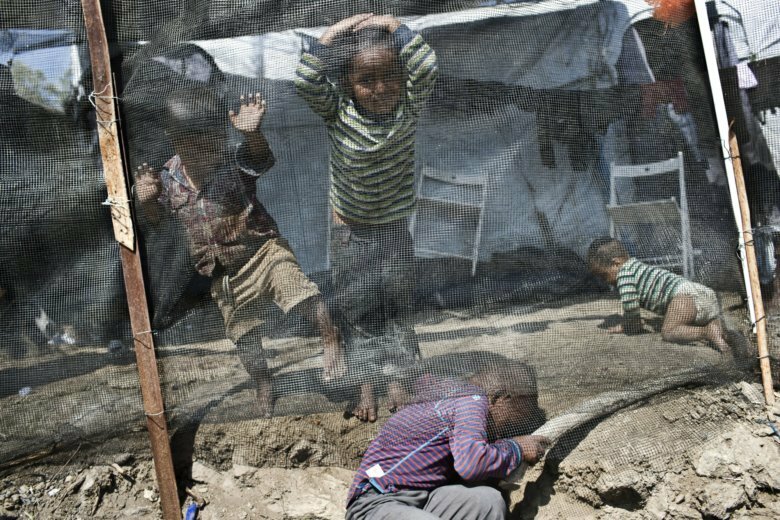 Samos island has seen the worst overcrowding, with around 4,000 people vying for space in a camp with a capacity of 648. The largest camp in the eastern Aegean, Moria on the island of Lesbos which holds more than 4,800 people in facilities designed for 3,100, has come under the severest criticism from rights groups and even local officials over poor living and security conditions. Greek authorities note that the terms of the EU-Turkey agreement prevent them from moving people off the islands en masse. Instead, they have tried to ease overcrowding by sending to the mainland those designated as vulnerable — such as the sick or very elderly, families with young children or single parent families. But with dozens, sometimes hundreds, arriving each week, that hasn’t been enough to definitively deal with the problem. As of Monday night, a total of 14,742 people were being held on the islands, most of them on Lesbos, Samos, Chios, Leros and Kos. “Greece has become a dumping ground for the men, women and children that the European Union has failed to protect,” Emmanuel Goue of the Doctors Without Borders medical aid group said in a statement on the third anniversary of the EU-Turkey deal. The increased difficulty heading into Europe from the Greek islands meant migrants and refugees soon sought out alternative routes to get into the EU. With more than 57,000 unauthorized arrivals by sea in 2018, Spain became the No. 1 route to the EU by sea. The figure was more than double the number of arrivals in 2017 at 21,000. NGOs and the Spanish government itself blamed the increase on the EU-Turkey deal and on later agreements with Libya which essentially shut down the central Mediterranean route which had seen boats head from Libya to Italy. There has, however, been a sharp decrease in the number of arrivals by sea in Spain in late 2018 and the first three months of this year. More people are also dying. According to the International Organization for Migration, around 2,300 people died crossing the Mediterranean Sea last year, almost double the year before. Nearly one third of them perished in the so-called Western Mediterranean, which links the northwestern African coast with European coasts in Spain. Aritz Parra in Madrid, and Derek Gatopoulos in Athens, contributed to this report.